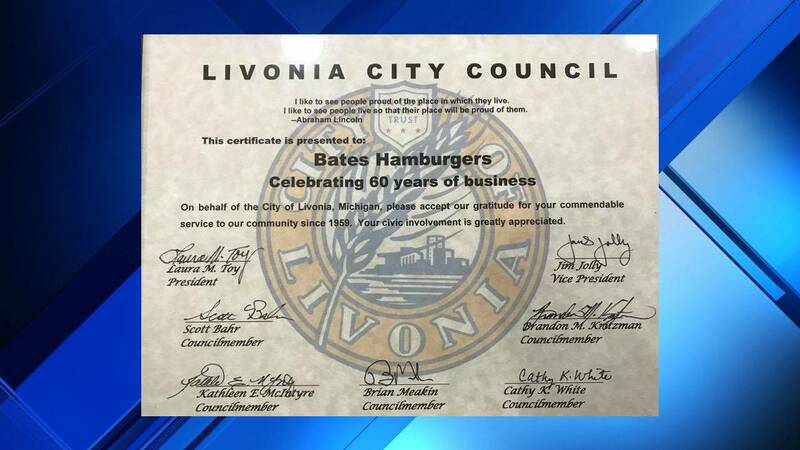 The city of Livonia honors Bates Hamburgers with special certificate on 60th anniversary of business. LIVONIA, Mich. - Bates Hamburbers is celebrating 60 years of business in Livonia. The city is honoring the popular hamburger spot at the corner of Farmington and 5 Mile roads with a special certificate. "A wonderful recognition from the City of Livonia," reads a statement from Bates. "Thank you to Livonia and the surrounding communities for making us you favorite burger! It’s been a pleasure to be a part of this community for the past 60 years." 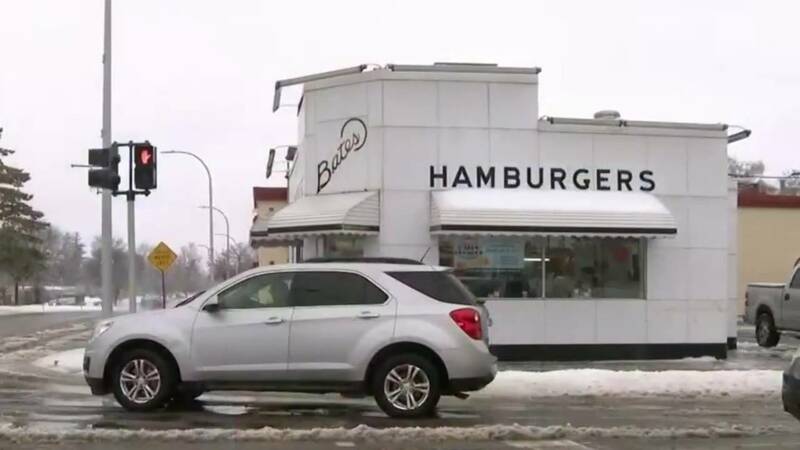 Bates Hamburgers has been serving Livonia and Farmington Hills since 1959, according to its website. The business is family-owned and run. A special anniversary event is set to begin Thursday, Feb. 14, from 7 a.m. to 11 p.m. at Bates in Livonia. Bates also has a location on Middlebelt Road in Farmington Hills. The restaurant earned the 10th spot on WDIV's top 10 burger spots in Metro Detroit in 2017.